« Cincinnati Welcomes Night Vale! Max Rockatansky returns to the big screen, and this Uncommon Geek is thrilled to have witnessed it. I consider myself a media enthusiast, but a jaded one. I find the modern trend of constant remakes (NOT reboot, every time I see that term used for movies I want to strangle the writer responsible), sequels, and rehashes to be tiring, to put it politely. Those who follow the site know that I am less than thrilled with the Star Trek re-imagining, and I am also sick of seeing remakes that never needed to be done. Like, say, RoboCop. I was much friendlier in my review of that remake than I should have been. I say all of that to make the point that when I first heard of Mad Max: Fury Road, I was concerned that it was going to be yet another remake, yet another re-imagining that jettisons everything that I loved from the original work, pretending that it never existed. 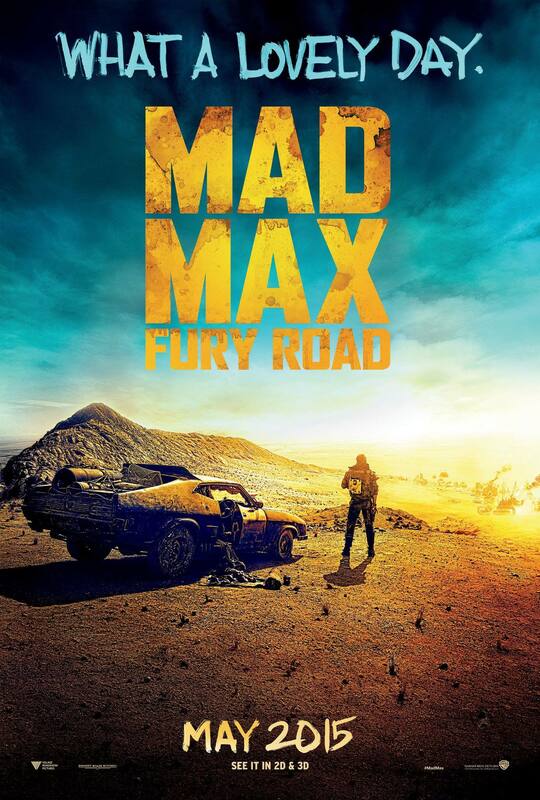 I was incredibly relieved to discover that it was actually a sequel (George Miller has been loathe to call it a direct sequel to any particular Mad Max film in interviews, but Fury Road is at the very least a sequel to the original Mad Max), a story that takes place in the same universe and doesn’t pretend that the other movies didn’t happen. Seeing that George Miller was at the helm gave me hope that it would be good. I was skeptical about a re-casting of Max, but once I knew it was Tom Hardy taking Mel Gibson’s place, I felt good about the decision. 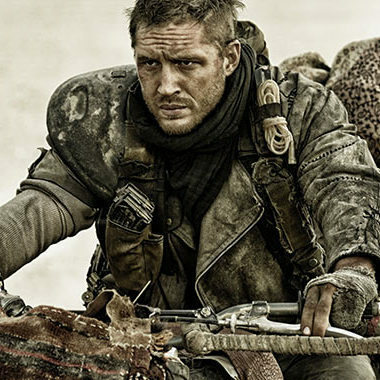 Hardy has really grown on me as one of the better actors to come into prominence in the last decade, and I knew he was one of the few guys in the industry today who could bring out the sort of toughness, the physicality, and brutality that Max Rockatansky possesses. Having watched the film, by and large what I have to say is: wow. That’s not an extremely articulate opinion, but Fury Road really did just leave me in awe. It is an action movie that somehow manages to encapsulate what was best about the classic action films of the 1970s and 80s, yet still feels modern enough to compete with contemporaries like Avengers and Star Wars. Fury Road is unabashedly brutal, matter-of-fact, ambitious in scope and scale, yet filmed and acted with a simple elegance that is a joy to see unfold onscreen. Dialogue is minimal; this is a tale told in a visual way, at a pace that never labors but never overwhelms either, which is a balancing act that films such as Star Trek Into Darkness, and even Age of Ultron failed to achieve at the level of Fury Road. I can’t really emphasize how much I appreciate the way this Mad Max story is allowed to unfold. For once, as an audience member, I didn’t feel like I was having my hand held, or that I was handed exposition so blatant that only the biggest dullard wouldn’t understand it. Max has a brief monologue, and there is a short series of clips at the beginning that set the framework for the post-apocalyptic setting, and that’s it. The rest of the story is told through the actions of the characters, and the story is allowed to progress in a beautiful, natural way that stays true to the characters and what they are trying to accomplish. And! Oh, I cannot stress enough how much I appreciate the heroes of this tale. Tom Hardy is pitch perfect as Max, and he totally nails the same combination of likability, stoicism, and barely restrained craziness that Mel Gibson did decades ago. And my hat goes off to Charlize Theron, who absolutely embodies her role of Imperator Furiosa. It’s easily the best performance I’ve seen from her, and Furiosa becomes, in my book, one of the most badass women to ever make the big screen. Most importantly, the characters are allowed to go for stretches with minimal or no dialogue. Finally, once again our protagonists are allowed to be stoic and tough. It’s not about machismo to me, it’s about the fact that, you know, not every hero needs to be a Tony Stark. Not every hero needs to be happy, or charming, or talkative, or even nice. 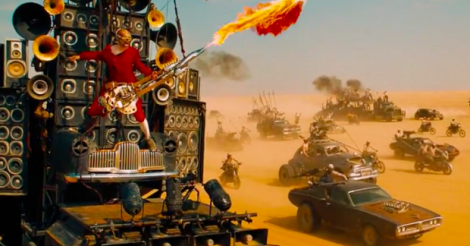 Not every hero needs to be a gorram extrovert, and Fury Road fully embraces this. I said all of that, and barely touched on the sensory ride that this film takes you on. The action is intense, brutal, and imaginative. What sells it even more is the fact that most of the film is filmed with real people and real cars. The minimal use of CGI made Fury Road even more immersive, and made the action feel way more exciting than anything I saw in Age of Ultron. Even with all of the advances in CGI, real props and real stunts still make for a better film than something generated with computer graphics. Holy frak. Talk about heavy metal. Literally. I can’t really sing the praises of this movie enough. It’s ballsy, it’s creative, it’s matter-of-fact about the kind of brutality humans will put each other through when civilization is stripped away. The action is inventive, clever, and relentless. The characters are well-realized and allowed to develop in unexpected ways. Fury Road may be too violent for some, but if you want to see an action movie that tells its story through its visuals, on a ride that grips you and doesn’t let go until the credits roll… and if you want to get a taste of an adventure that hearkens back to a day when movies were held to a higher standard of quality, you owe it to yourself to watch Mad Max: Fury Road. Neo, you are spot on. This movie doesn’t waste time on pointless, inane dialogue, nor is it filled with obvious, and overdone, CGI. The action really does tell the story. This movie is true to the Mad Max series. George Miller has proved his remarkable skill in directing an action movie with real actors, vehicles, and environment. Two thumbs up!